The Tarot card for today, Saturday, and Sunday is the Two of Pentacles. Balance is the key word for this weekend. More than likely, things will be relatively calm and smooth sailing. You may decide to take a short trip or spend time visiting family and friends. You might coordinate weekend plans for a group of people. Keep an eye on finances: Have a good time but don’t go overboard on spending. If you have weekend chores to do or if you have to take care of some other business, don’t be all work and no play. Make sure to have a little fun or just simply relax. 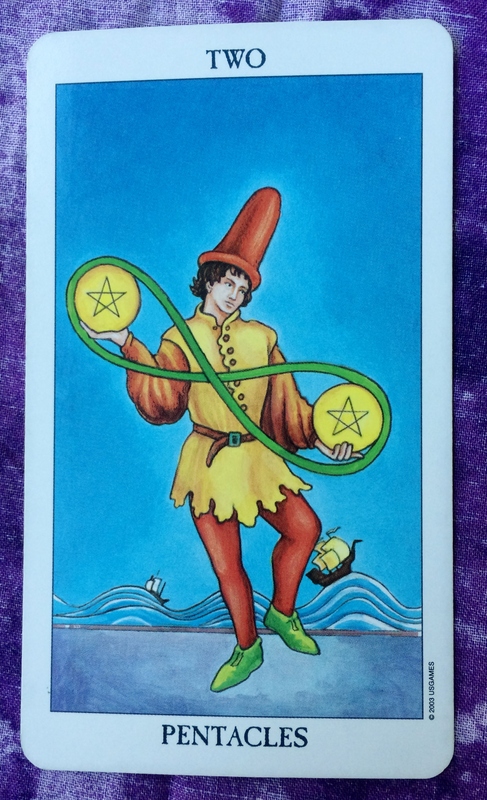 Today’s Two of Pentacles suggests that you may be juggling aspects of your life in order to keep balance. For example, you may be balancing your work life and your home life. 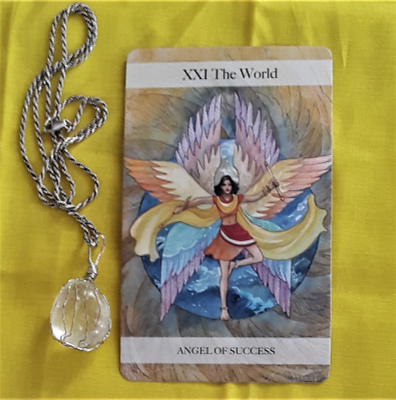 Or you could be trying to strike a balance between what you need and what you want, or between the spiritual and the material. Whatever it is, try not to ignore one thing over the other. Also, don’t worry so much about juggling that you don’t get the full benefit of what you are doing. Enjoy each aspect. It’s all a matter of how you look at your situation. You can think of it as juggling — but you can just as easily think of it as doing one thing at a time, then doing the other.